In her two years working at Caron B Realty International, Agent Jill Lawrence has experienced growth and success in her professional and personal life. The mentorship provided by Caron and Doug is helpful and grounding for agents during the entire transaction process. Caron is available and easy to talk to, and with over 27 years of experience, she can share her knowledge of Luxury Real Estate and working with all types of clients. Doug, with over 33 years of experience, can answer any and all contract questions, and his expertise in Hawaii Real Estate and all its facets make him very adept in the industry. One experience of the mentorship Jill has received from Caron and Doug was during a transaction of a luxury property. “Dealing with high-end clients and luxury properties, there are certain expectations of an agent,” Jill shared. In particular, there was one transaction in which the survey showed that the seller didn’t own a large portion of the land that the agent thought was being sold. Jill turned to advice from Doug and Caron, and the plan of action enabled Jill to make the buyer feel more comfortable. In the end, there was a successful closing, and everybody was happy. Working for a boutique real estate company like Caron B Realty International has allowed Jill the opportunity to learn and grow through personal mentorship. Jill’s experiences at Caron B Realty International enabled her to create her desired lifestyle and build wealth through real estate. Now, Jill manages her own clients on the North Shore and will be starting her own blog. 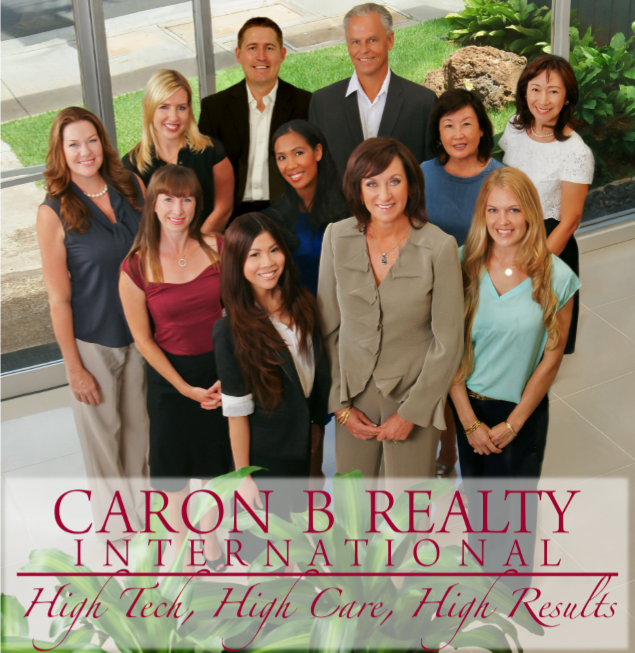 To learn about what sets Caron B Realty International apart, and how you can start your own career, call or text Caron B Davis today at (808)286-5256.